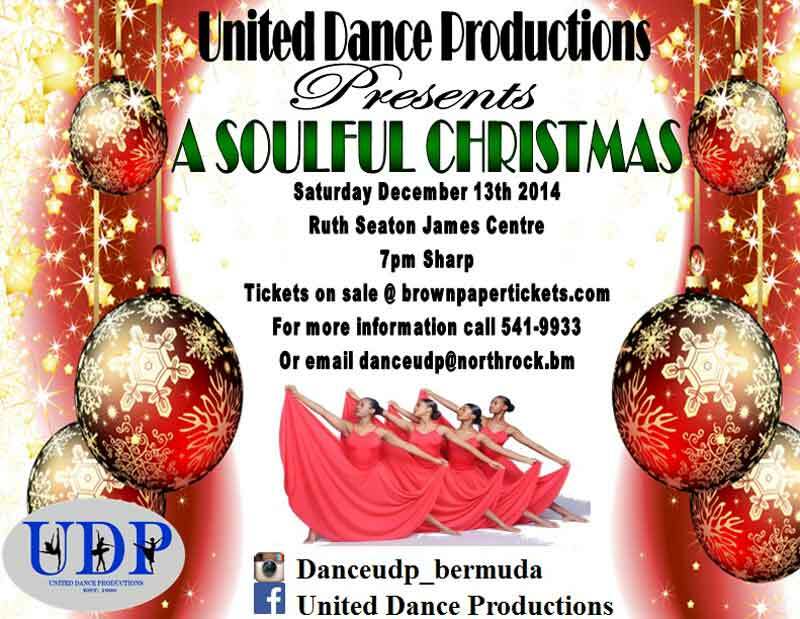 As the Christmas season draws near, United Dance Productions is preparing for an evening full of uplifting, joyful and spiritual dance, with “A Soulful Christmas” to be held on Saturday December 13th at 7pm at the Ruth Seaton James Centre. The show will feature Ballet, Tap, Jazz, Modern, Pointe, and Hip Hop. A spokesperson said, “The dancers have been preparing for the show for several months , and are ready to showcase their dedication and hard work. “We have a repertoire of contemporary which will come later in the show, with pieces Choreographed by Carling Ray that show such a high calibre of professionalism by kids as young as 7 yrs. “Now Behold the lamb” and our signature Christmas piece “Testimonies” have become audience favorites choreographed by Alumni Eric Bean Jr. , and are promised to be on the line up. If you are looking for a good time, we promise to give it to you! Tickets on sale brownpapertickets.com or call 541-9933. UDP killed it at the Santa Claus parade with their flash mob! Didn’t see them and how fair was that for the rest of the participants of the parade? Since they didn’t wanna pay to “perform”, they “crash” the parade? Yes – that’s the example we want to set. Flash Mob: A flash mob (or flashmob) is a group of people who assemble suddenly in a public place, perform an unusual act for a brief time, before quickly dispersing. They are often used for the purposes of entertainment, satire or artistic expression. I am sure United Dance Productions did not “Flash Mob” the parade with the intent of it not being “fair” to other performers. My family and I were very entertained as we waited for the “real parade” and so were all of the people around us! We were glad you performed in front of us. Those that missed it, really missed the excitement of wondering what was going on. Great job on the unexpected Flash Mob! Area Voter it sounds personal! I’m sure UDP can afford the registration of the parade, you just want to fuss! It’s more exciting when no one knows when a flashmob is going down. They did nothing wrong. It’s nice to have some positive excitement. Don’t hate they’ve always been trailblazers!